The first incarnation of Black History Month began in 1926, when Carter G. Woodson, historian and author, established an observance during the second week of February coinciding with the birthdays of social reformer Frederick Douglass and President Abraham Lincoln. The month-long celebration was then proposed at Kent State University, Ohio, in February 1969, beginning the following year. 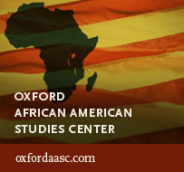 We at the Oxford African American Studies Center (AASC) want to reflect on the history of African and African American Studies, integral to the history of America—and its future. Henry Louis Gates, Jr. has been a leading figure in the field of African and African American studies for a generation. 2018 marks the 10th anniversary of the publication of the landmark African American National Biography, which continues to grow online on the AASC. In honor of Black History Month, Gates reflects on the state of the field: its major accomplishments, its remaining challenges, and its direction in the years to come. You have traveled worldwide to piece together the story of people of African descent. What is the most surprising story you’ve come across in your research? I think the most surprising story, and certainly one of the most moving, was my first encounter with the legacy of the great university that was located at Timbuktu, in Mali, and meeting Abel Kader Haidara, the “librarian” whose mission is to protect and preserve the manuscripts written in Arabic by some of the greatest scholars that the African continent has produced—hundreds of thousands of books, written by black men largely between the late Middle Ages and the fall of Timbuktu to Morocco in 1591. This library disproves racist claims in the Enlightenment that Africans didn’t or couldn’t write. I was moved to tears when I saw and handled these books. Is there a major figure from Black History who, for whatever reason, has been “lost” to modern readers? [The] defiant female ruler of the independent central African state of Ndongo/Matamba. Her military victories against the Portuguese and their African allies, her strategic economic and military alliances with the Dutch, and at times the Portuguese, and the spiritual diplomatic relations she engineered with Rome assured the independence of her state. She bequeathed to Angolans and to people of African descent in the Americas a proud legacy of resistance which they mobilized in Angola and Brazil to challenge colonialism and enslavement. What has changed the most in the field since you began working in it? Digitization has changed the fields of African and African American Studies most dramatically, making both archival material and journal articles and even books accessible to people throughout the world who previously would have been denied access to this knowledge because of costs or lack of proximity. We see this clearly in the revolution of genealogical and ancestral genetic research, which is one of the most important intellectual phenomena of the last decade or so. We can do in minutes or hours research that formerly would have taken weeks or months. And we can do it cheaply. What areas are left to explore? What direction do you see this field taking in the next ten years? I think the intersections of race and class will remain a compelling field of inquiry in African and African American Studies. But I also look for a renaissance of scholarship about the humanities and the arts in Africa, Afro-Latin America, and their relationship to African American culture and history. Featured image credit: “Old book bindings” by Tom Murphy VII. CC0 via Wikimedia Commons. Henry Louis Gates Jr. is the Alphonse Fletcher University Professor and Director of the Hutchins Center for African and African American Research at Harvard University. He is the editor in chief of the Oxford African American Studies Center, along with many other reference works and collections detailing the lives and experiences of people of African descent.